Five episodes into The Walking Dead and the pressure is on. 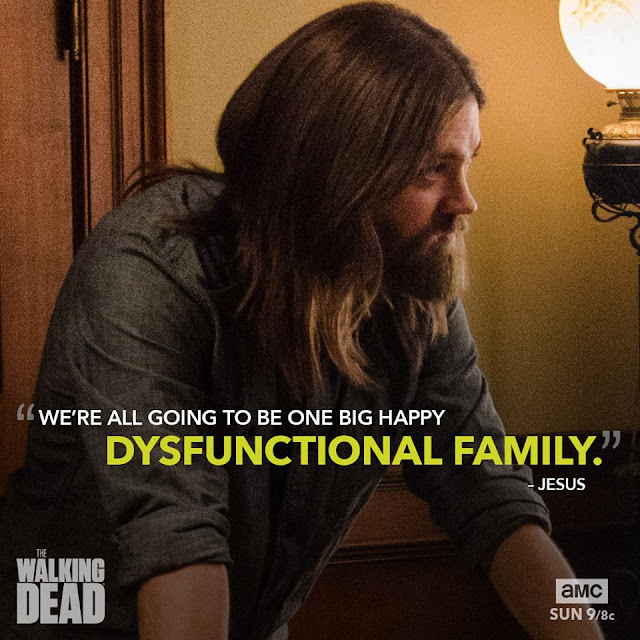 In the latest episode, we return to see how the Alexandrians are coping with their recent losses and the presence of Negan in their lives. How did it all go down? Let's find out! This article contains spoilers. 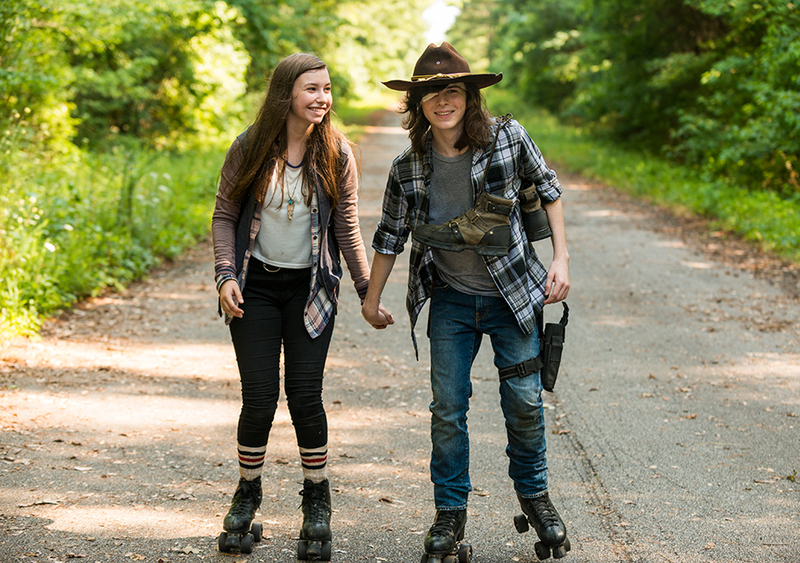 The Walking Dead is rated TV-MA and contains graphic content. 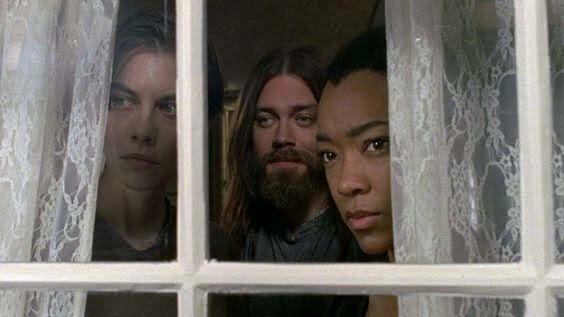 Slowly, we’re seeing the group react to the loss of Abraham and Glenn and see the fallout for those closest to them. Let’s dive into the newest episode! 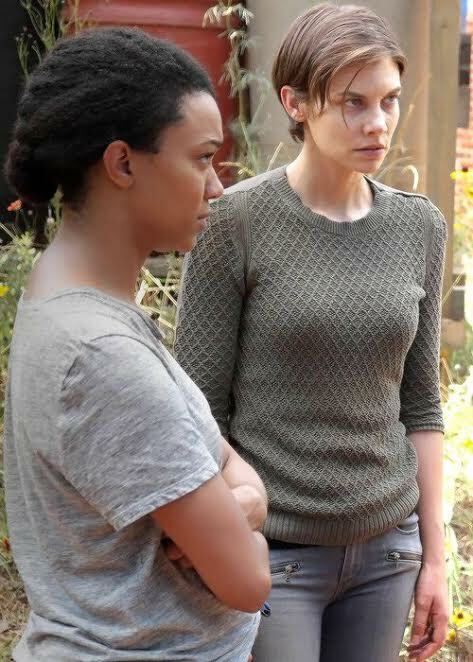 Out of the season premiere, Maggie was a character who surprised me the most, just by how quickly she made up her mind about what was going to be done and how they don’t have the option of doing nothing anymore. In this week’s episode, she stepped up once again and made it clear what she thinks should happen next. I was so relieved that she and Baby Rhee are, for the most part, going to be fine (I hope). 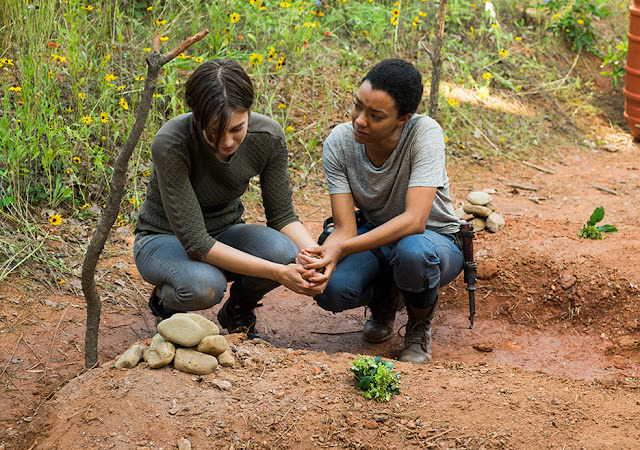 I loved the moment where Maggie and Sasha were sitting by the graves and just letting the new reality soak in. It was a quiet, sweet moment, and I love how the friendship between these two is developing more. In some ways, they are facing the same kind of loss, and I love how they are determined to help each other get through it. Sasha, like Maggie, has made up her mind that something must be done about Negan and the Saviors, and I love her tenacity. Unlike after the deaths of Bob and Tyrese, Sasha is very in control of her emotions after the death of Abraham. She’s focused rather than reckless; she’s planning and waiting for the right moment to strike. I think it’s an interesting contrast that goes back to the moments in season six when she acknowledged how she was in control now. There’s so much internal conflict at Hilltop, so I’m eager to see how that split will continue. I don’t trust Gregory, and I think he’s only going to be more of a problem as things intensify. I like how Jesus calls him out on that lack of trustworthiness and how he see Maggie as the best potential leader. (I’m really excited to see that element in the show!) Ultimately, it seems like the colony has a lot of disruption among its people, so I’m curious to see if, and how, they band together. I’m really curious to see how the alliance between the Hilltop and Alexandria will be affected with the events of this episode. With three Alexandrians now residing at Hilltop, I want to think we’ll see that alliance strengthen, but I don’t think it will be an easy road by any means. - One thing I loved was the little things in this episode—Abraham’s necklace and cigar, Hershel’s watch, the green balloons. A great way to honor lost characters and show how they still affect the survivors. - Enid going to Hilltop to be with Maggie. I think that’s a huge step for her character, since she is more accustomed to running away when she loses people. 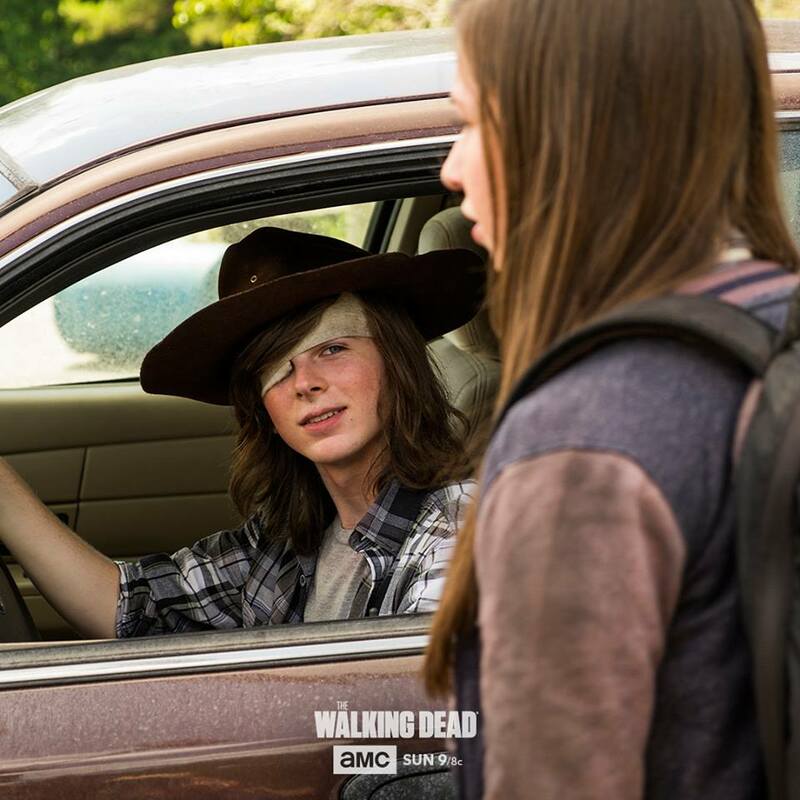 - And Carl still isn’t staying in the house, as usual. But I think we all know the real reason he got in that truck: there must be giant can of chocolate pudding in there. Have you seen "Go Getters"? What did you think?